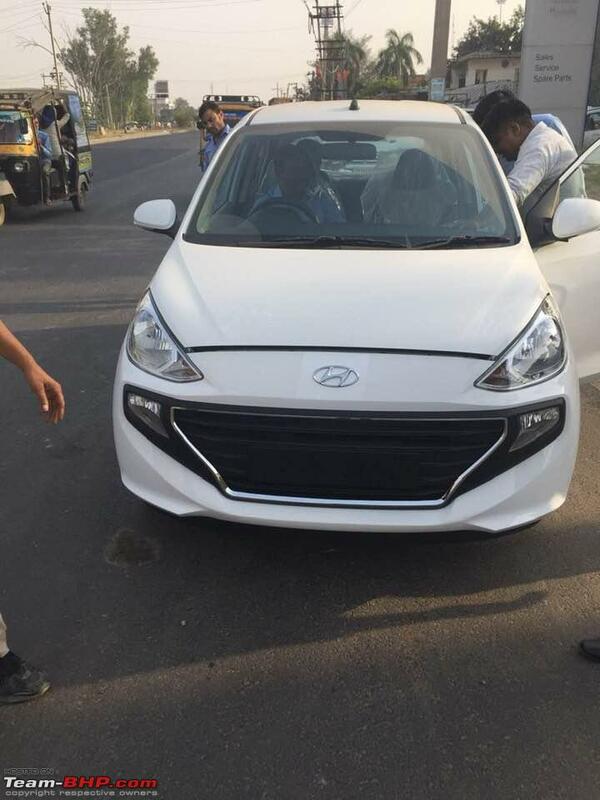 A fresh batch of 2019 Hyundai Santro’s images snapped during dealer dispatch have surfaced online, fully exposing the car’s exterior. Hyundai will sell the all-new Santro in five grades: D-Lite, Era, Magna, Sportz and Asta. The 2019 Hyundai Santro seen here is in the range-topping Asta grade. On the outside, it features chrome surround on the Cascading grille, front fog lamps, full wheel covers, body-coloured ORVMs with integrated turn indicators, body-coloured door handles and rear washer and wiper. The new hatchback misses out on alloy wheels and B-pillar black-out tape. The reborn Hyundai Santro has dual-tone beige and black interiors. 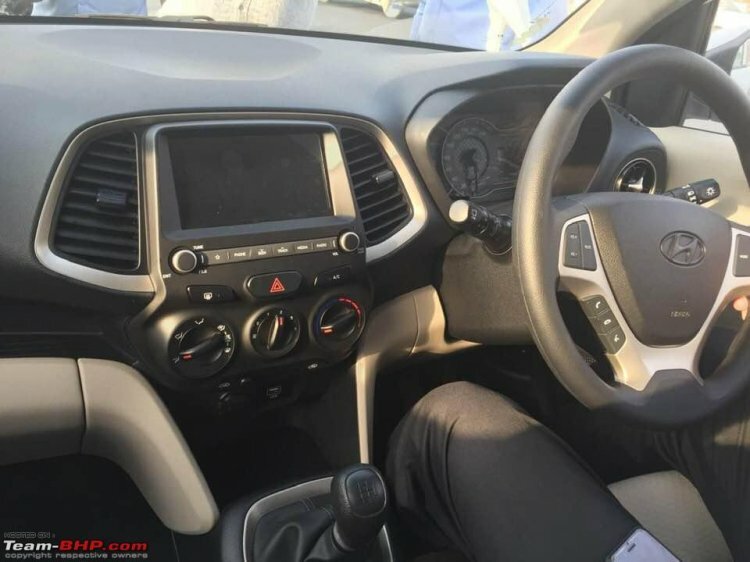 Other key interior features include 7-inch touchscreen infotainment system with Apple CarPlay, Android Auto and MirrorLink support and voice control, rear AC vents and multifunction steering wheel, which interestingly lacks chrome garnish on the Hyundai logo. On the safety front, rear parking sensors, driver airbag, ABS with EBD, speed alert system and driver and co-driver SBR are standard. The Asta grade is equipped with a rear parking camera and front fog lamps as well. Hyundai makes the all-new Santro in petrol and petrol-CNG models. Both use a 1.1-litre four-cylinder engine tuned individually. In the petrol model, this engine’s maximum power and maximum torque figures are 69 PS and 99 Nm respectively. There are two transmission choices: 5-speed manual and 5-speed Smart Auto automated manual. In the bi-fuel model, the 1.1-litre four-cylinder engine produces 59 PS and 84 Nm of torque. A 5-speed manual transmission is standard. The fuel economy rating is 20.3 km/l (petrol)/30.5 km/kg (petrol-CNG in CNG mode). The 2019 Hyundai Santro's prices will reportedly range from INR 3.88-5.21 lakh (ex-showroom Delhi). The 2019 Hyundai Santro’s launch will take place on 23 October. According to a leaked document, the prices will range from INR 3.88-5.21 lakh (ex-showroom Delhi).